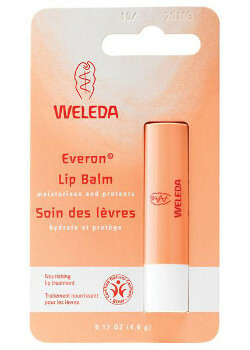 This long-lasting all natural lip balm soothes, nurtures and protects lips in need of deeply moisturized comfort. Everon Lip Balm is a luxurious and nourishing treatment that leaves your lips soft and supple with a healthy shine and the delicate scent of vanilla and roses. Ingredients: Jojoba oil, beeswax, rose absolute, cocoa oil, lanolin, carnauba wax and peruvian balsam.